Mount Stuart, Isle of Bute, 13 August to 30 October 2016. That Which Remains celebrates the last 15 years of Mount Stuart‘s contemporary visual arts programme. 2016 marks the fifteenth anniversary of Mount Stuart’s contemporary visual arts programme and celebrates with a multi-site retrospective, an explorative trail revisiting the art works created over the previous fifteen years. 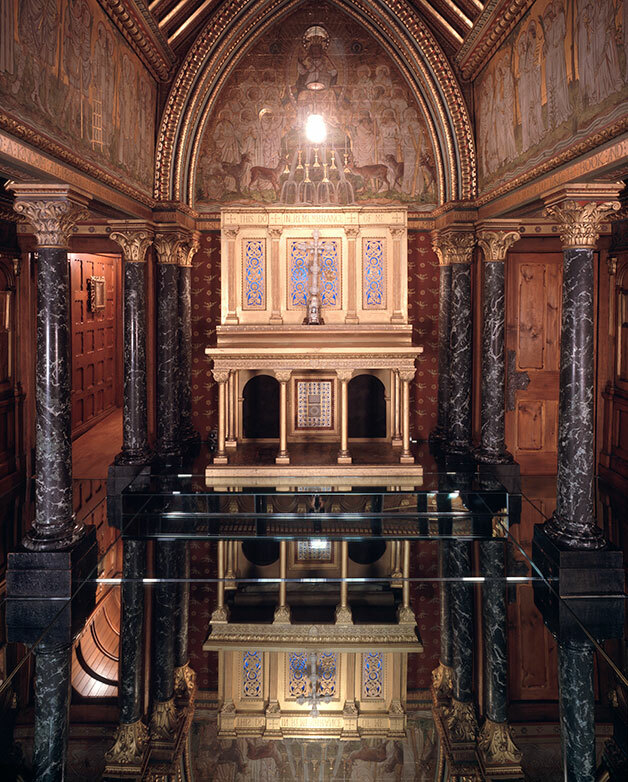 The exhibition includes Reawakening the permanent site specific installation by Langlands & Bell that has transformed the extraordinary Burgess Chapel at Mount Stuart since 2004.